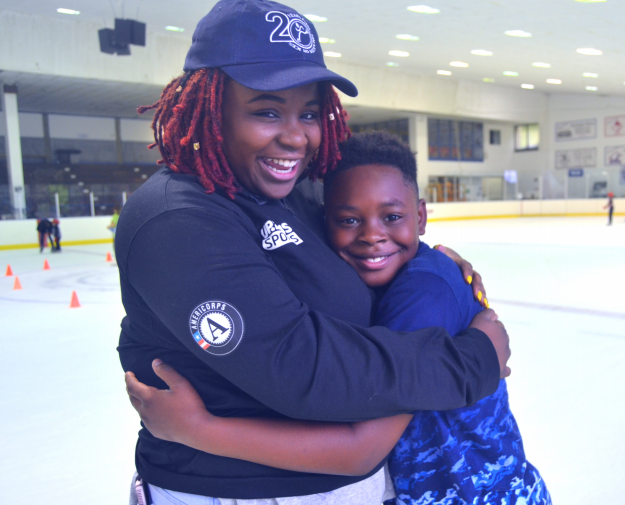 Since before the inception of Up2Us Sports, AmeriCorps has been by our side, providing grants to support service members to serve as youth sports coaches nationally. Read more about how Up2Us Sports is #MadeInAmeriCorps. In this two-part series, we interview two of our coaches from Fenway High School in Boston, Massachusetts. They each spoke about their lives, coaching, National Girls and Women in Sports Day, Black History Month & womanhood. Our second story features Coach Melika Clark, who overcame the obstacles of her hometown and the loss of her mother to truly find her passion. In this two-part series, we interview two of our coaches from Fenway High School in Boston, Massachusetts. They each spoke about their lives, coaching, National Girls and Women in Sports Day, Black History Month & womanhood. Our first story features Coach Chandlor Lyles, a Boston native who returned to her alma mater to create a safe and open space for her students. Over the past week, Up2Us Sports staff and coaches in Chicago, Miami and New Orleans have participated in the Corporation for National and Community Service’s (CNCS) MLK Day of Service. In 1994, Congress designated the Martin Luther King Jr. Federal Holiday as a national day of service and, fittingly, charged CNCS with leading this effort.